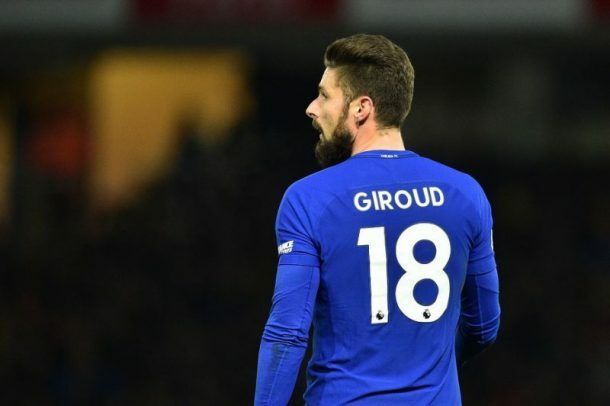 France international Olivier Giroud has warned Chelsea coach Maurizio Sarri that he is not ready to be a bit part player at Blues any longer – hinting at a summer transfer when his contract expires. The 32-year-old star grabbed a superb hat-trick in a 5-0 humbling of Ukrainian side Dinamo Kiev on Thursday to send his side through to the last eight of the UEFA Europa League and then said that he is one of the fittest stars at the Blues – and wants to play every match. He has only played 56 minutes of EPL football this season, as Maurizio has preferred to use the now departed Spanish star Alvaro Morata, on loan Argentine striker Gonzalo Higuain – and even key man Eden Hazard as a ‘false’ nine, ahead of the former Gunners man. But Olivier, when he has had his opportunity, has taken it in style. The hat-trick against Dinamo Kiev meant that he had netted nine goals in nine Europa League matches – and he has one goal in the EPL after coming on as a sub at Tottenham Hotspur. A tally of 10 goals then, which makes the striker the club’s second highest scorer this campaign, behind only Eden Hazard. But the French star has warned he is not happy with life on the bench claiming he will look to leave Chelsea in the summer – in spite of the transfer embargo on the club meaning they won’t be able to land another forward.